Websites have evolved significantly in the last 10-15 years. The best way to show you this is through a catalogue of screen shots that speak for themselves. 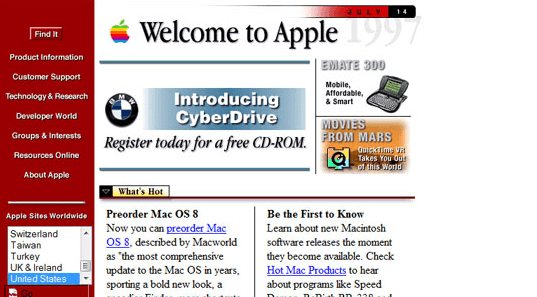 We’ve provided eleven examples of popular websites that have changed dramatically since their inception. 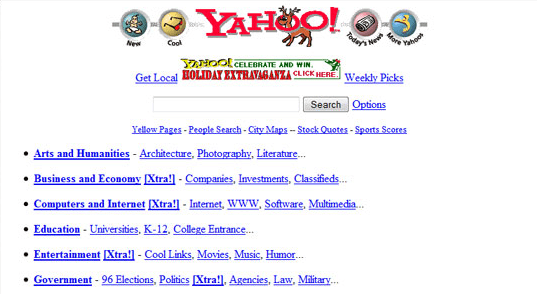 Back in the days when Yahoo was called “Jerry’s Guide to The Worldwide Web,” and dial-up internet was a relatively new thing, websites looked a lot more basic. In 1994 spamming was just getting started with the beginning of mass email marketing campaigns. Java programming was introduced in 1995, and two years later the term “weblog,” was used, which later was shortened to “blog.” Here’s a glimpse at some other hard and fast examples of internet changes. 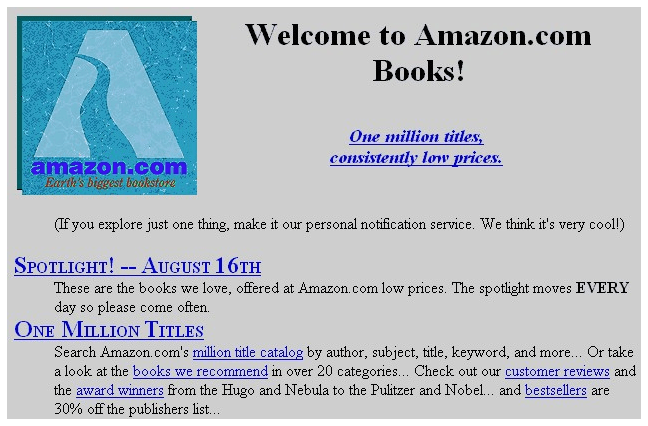 Incorporated as Cadabra in 1994, this name was changed to Amazon one year later. (Apparently, ‘Cadabra’ sounded too much like ‘cadaver’.) Jeff Bezos started Amazon as an online bookstore, because books are a product customers don’t have to handle prior to purchase and because it’s easy to ship. The website now sells everything from furniture to food and has tens of thousands of external developers who keep it running smoothly. 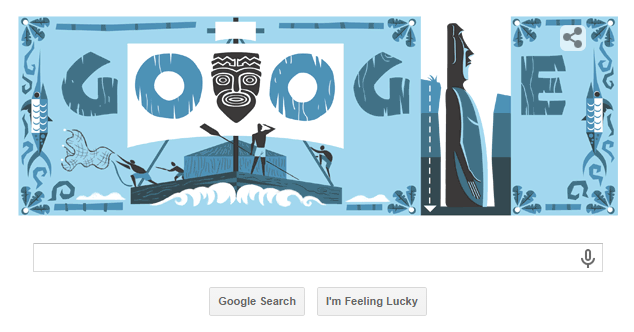 Launched in a garage office by founders Larry Page and Sergey Brin, it was hailed by PC magazine in it’s first year as having “an uncanny knack for returning extremely relevant results.” The first Google doodle was a carciture of a man running, meant to inform users that founders would be at the Burning Man Festival in Nevada that August. Yahoo was launched at Stanford University. The name was borrowed from Gulliver’s Travels, which defines a ‘yahoo’ as one who is rude, unsophisticated, and uncouth. The name seems to roll off the tongue a bit better than the previously mentioned original , ‘Jerry and David’s Guide to the Worldwide Web.’ Much work was put into the homepage, including an opportunity for users to beta test it in 2006. 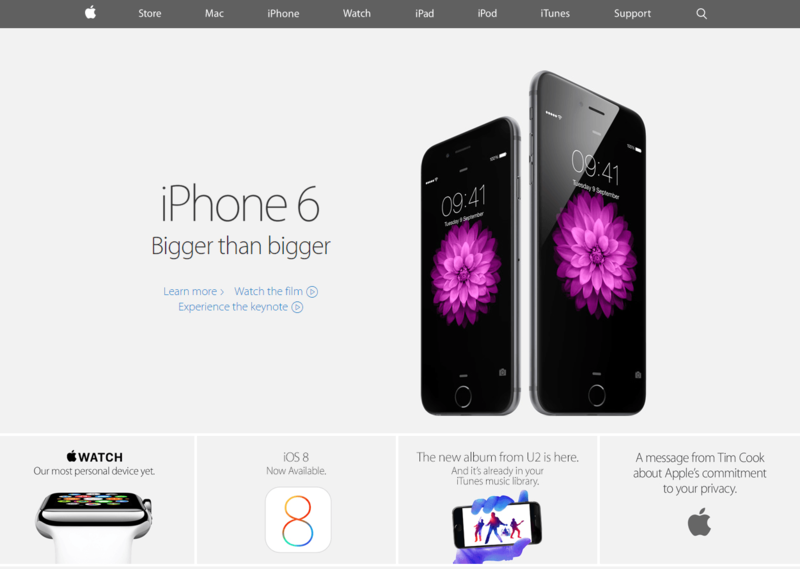 Apple is known for design and its homepage is no exception. Apple’s goal was simplicity, focus and beauty. 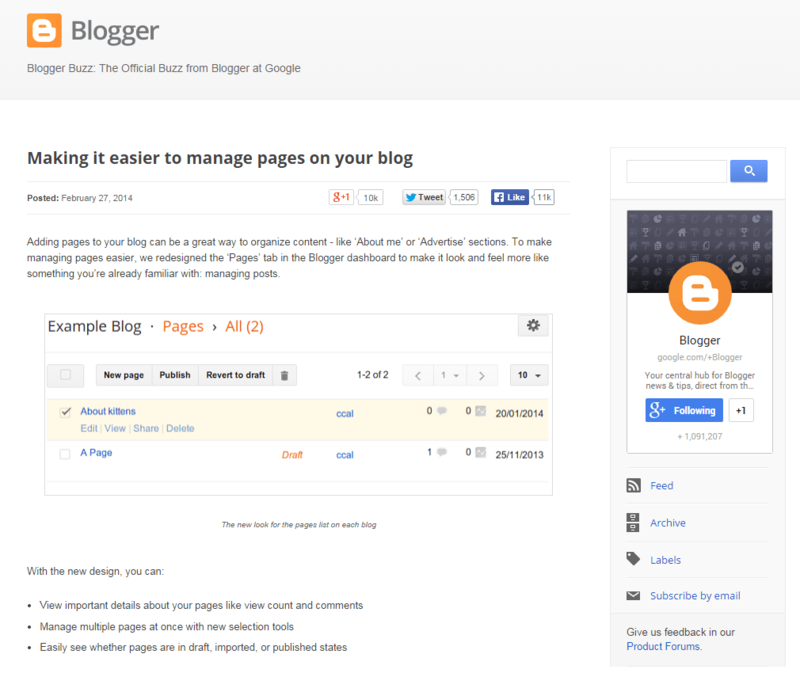 It worked toward these aims with less copy, bolder text and fewer options to click on. 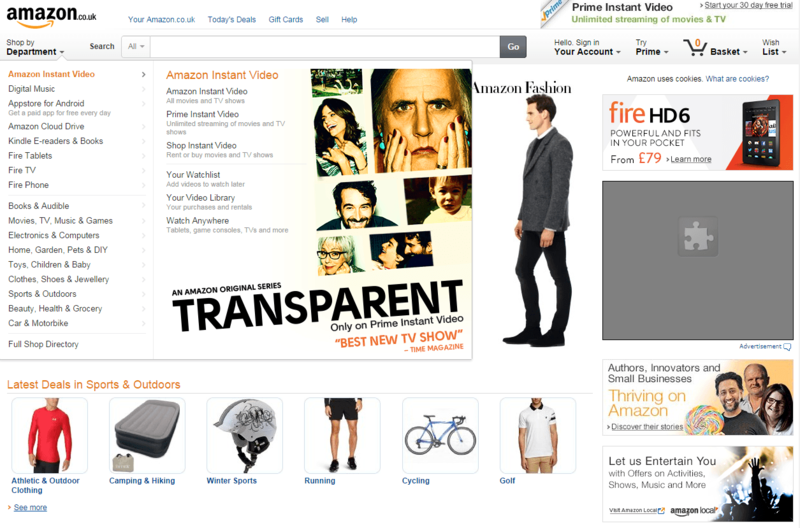 The result is a streamlined, aesthetically pleasing homepage. 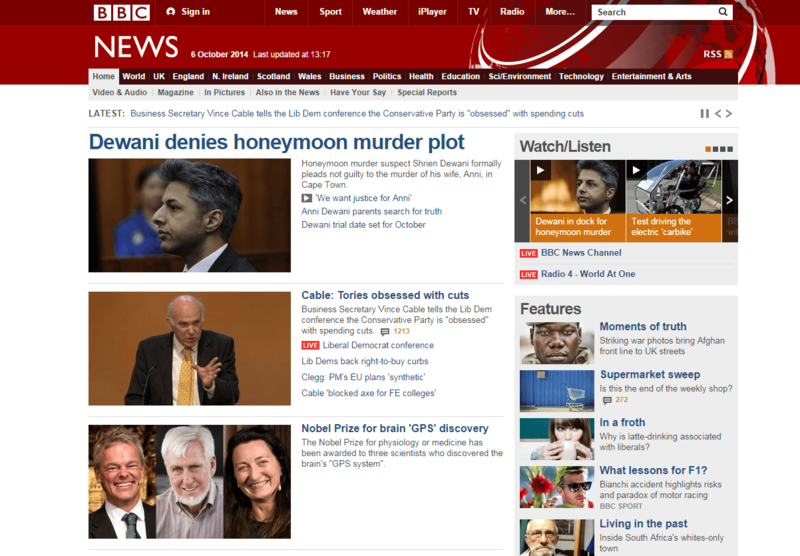 Launched in November 1997 by Mike Smartt and Bob Eggington, BBC News’s website has a history of success. It was named Best News Website at the BAFTA Interactive Entertainment Awards for every year that the award existed (a total of five years). Also, it won the People’s Voice and the Judges’ Award several times for Best News Site at the annual Webby Awards. 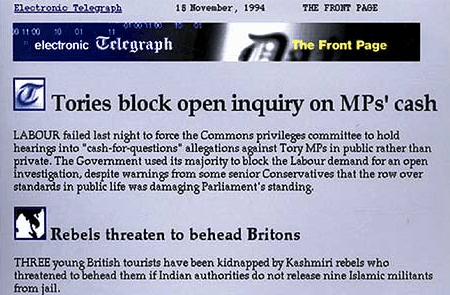 The Telegraph was launched in 2004 and is overseen by Kate Day. 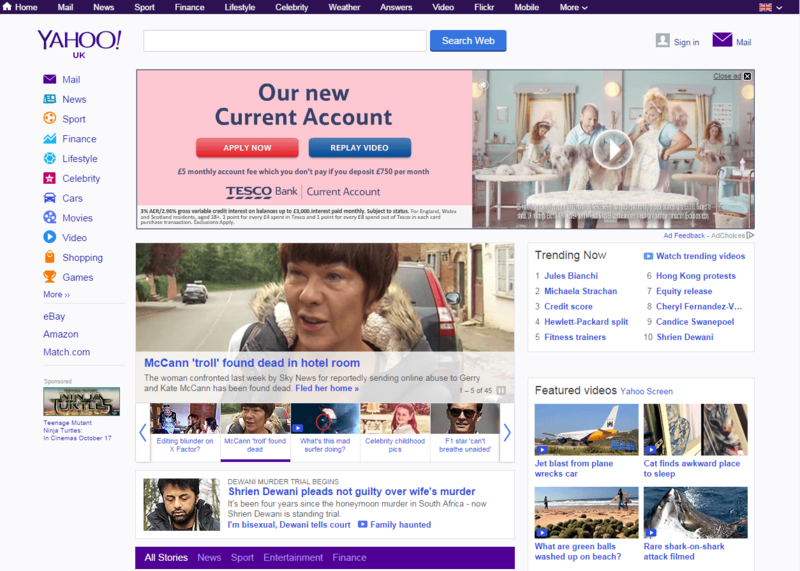 It was named ‘UK Consumer Website of the Year’ in 2007, and was relaunched in 2008 under the Escenic content management system. 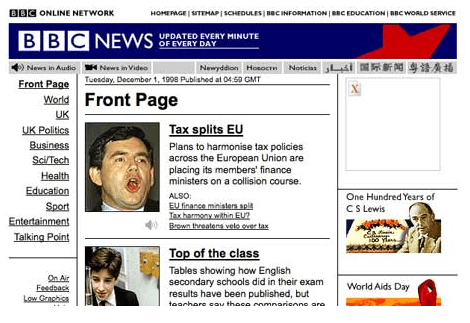 That year it became the UK’s most popular online newspaper site in the UK. Eventually this title was overtaken by the Guardian and the Daily mail, but it still retains third place. 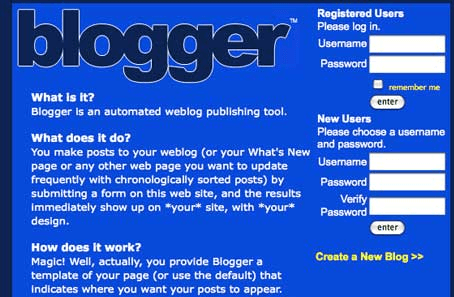 Blogger was launched by Pyra Labs in 1999 and bought by Google in 2003. 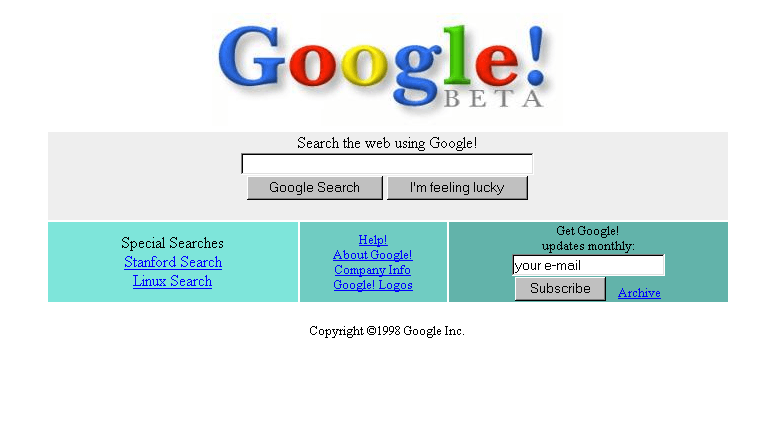 By 2007, it was moved to solely Google operated servers, and was number 16 on the list of the top 50 domains in respect to unique visitors. Stewart Butterfield and Caterina Fake were game developers who created Flickr after realising how popular the element of photo sharing was in one of their gaming endeavours. 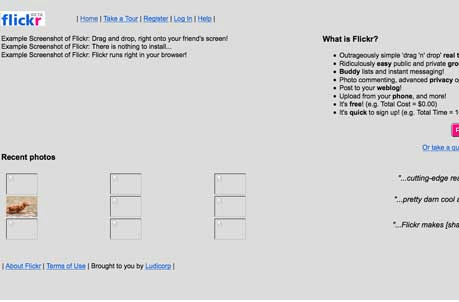 Flickr then developed as a chat room in which you could exchange photographs in real time. The chat room was eventually dropped. Flickr was purchased by Yahoo in 2005, partnered with Getty in 2009 for stock photography usage. 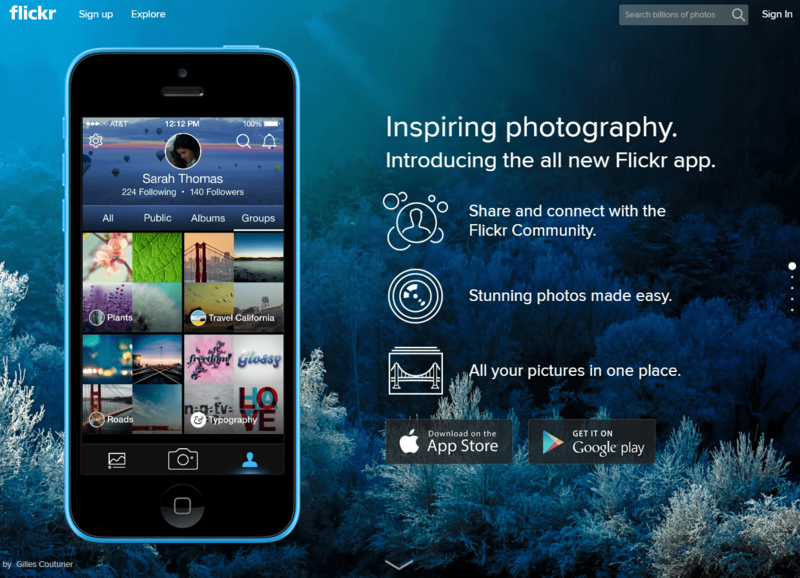 It has had its most recent major change, Flickr’s New Photo Experience, in March of 2014. 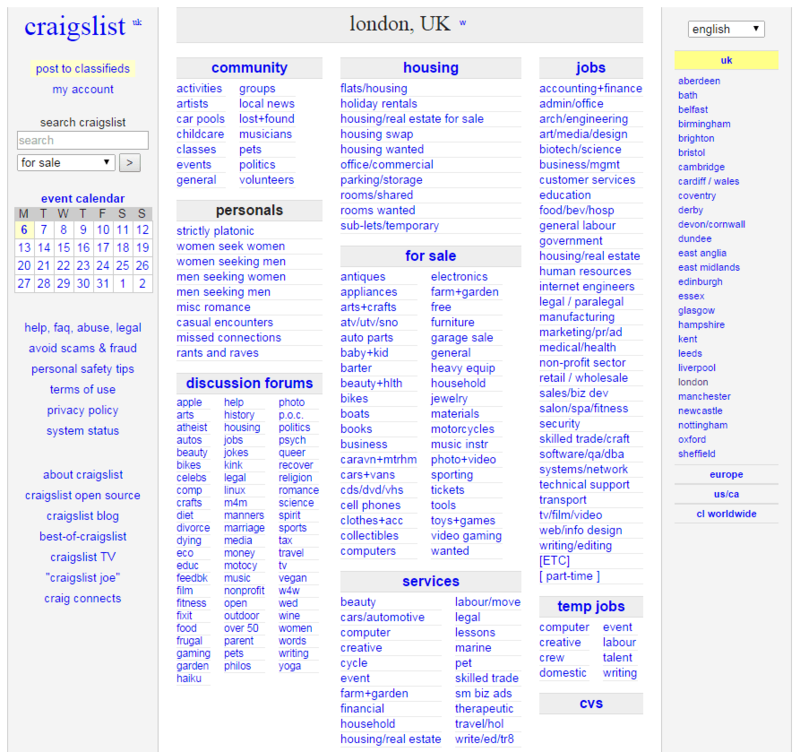 Craig Newmark began Craigslist in 1995 as an email subscription list, and took Craigslist.org live in 1996. In 1999 Newman, quit his full-time position as a java programmer to run Craigslist. By 2004 they began to charge for the running of ads in select cities. He has since acquired a staff of about 30 and has a net worth of approximately £300 million. 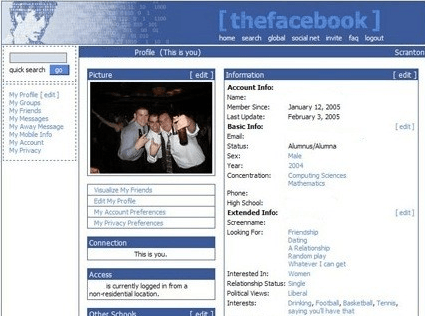 Thefacebook was launched by Mark Zuckerberg in 2004 when he 23 years old. The appeal seems to be the creation of a platform of personalities that mimics social interaction in real life. It gained 1200 subscriptions in its first 24 hours. In 2005, ‘thefacebook’ became ‘Facebook.’ It began monetisation in 2008 via advertising. 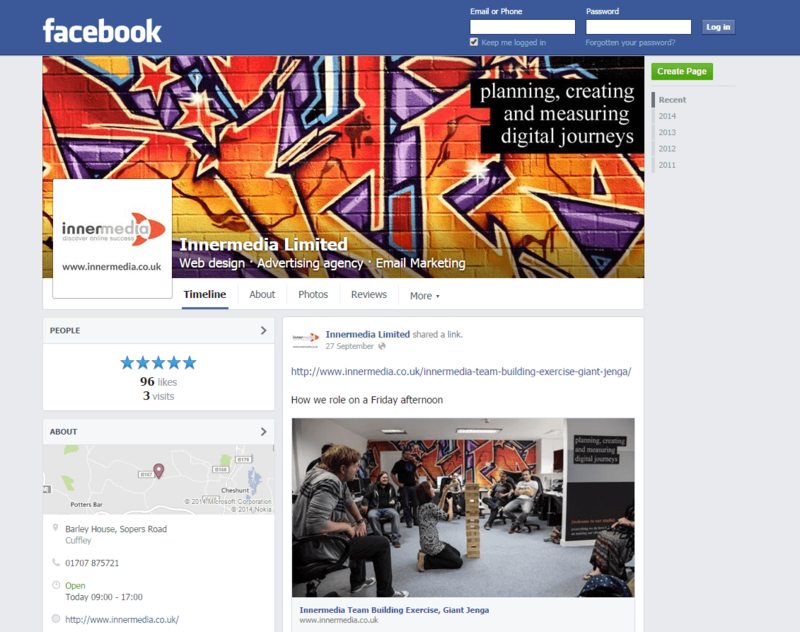 Facebook has had several major design layout changes which have resulted in consistently angry responses from its users. Regardless of this, Facebook continues to gain larger than ever acquisitions, including the purchase of the largest venture capital start-up, WhatsApps Inc., for 19 billion US dollars. 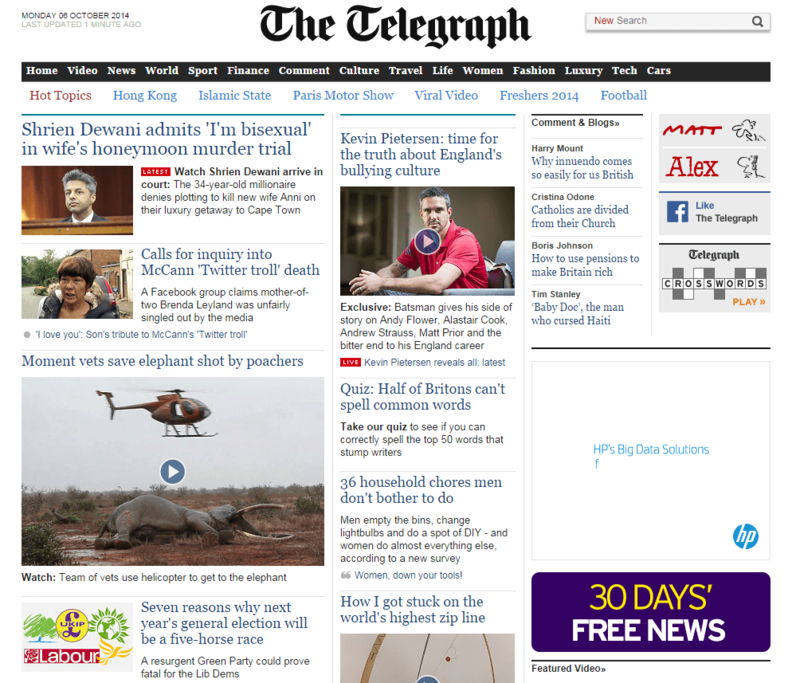 These days, most homepages include company facebook sites and twitter feeds; neither of which existed ten years ago. It’s also standard to include company blogs, 80% of which typically feature informative rather than self-promoting content. 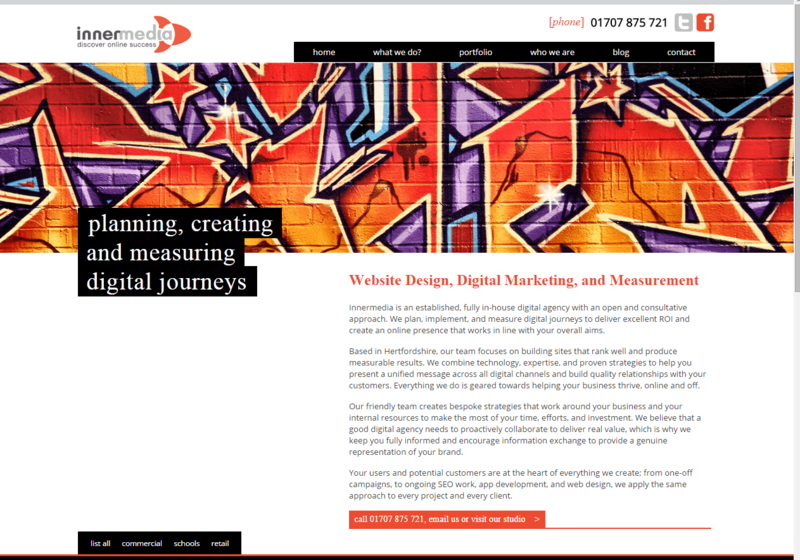 Innermedia was launched in 2003 and is owned by Chris Knight. What began as a design company is now a fully in-house digital agency which includes web and app development, ecommerce systems, video production, SEO, PPC advertising, and training & education, among other services. 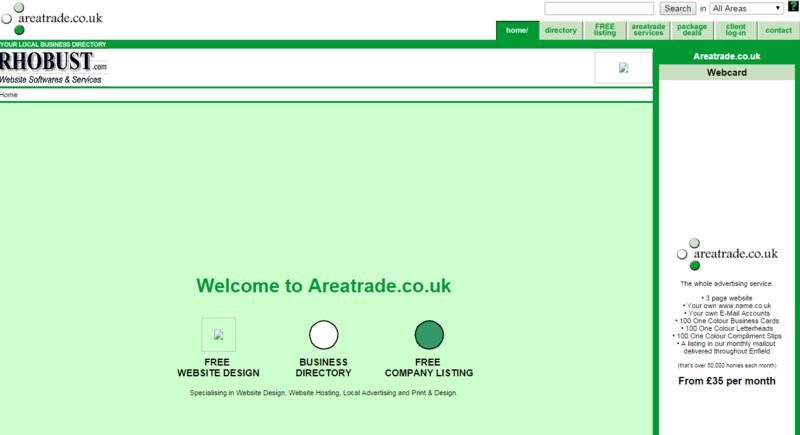 Our page layout has had some exciting changes over the last decade, much like the company itself. What a difference ten years can make. With the improvement in technology and the change of internet preferences, website homepages are more sophisticated and interactive than ever. We hope you’ve enjoyed this tour of popular home screens from the past and present. See you next week!